My daughter is starting Kindergarten in the fall. Can I cry now? It is CRAZY how fast time is flying by! With going to "big girl" school, she will need more things than she did in preschool. Snack bags, pencil box, back pack. All these things that she didn't have in preschool and they need to be LABELED. 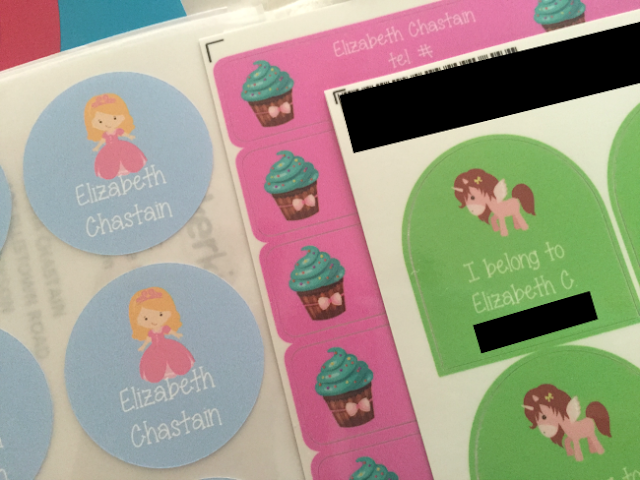 So when I was contacted by StickerKid to provide a review, I was very excited because I knew she would need labels. 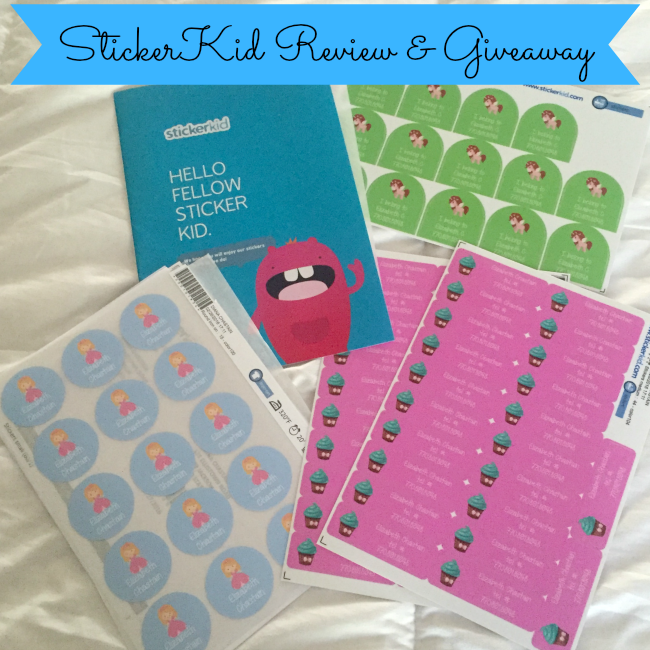 Sticker Kid has some very cute styles and designs to choose from. My daughter is very girly. She loves unicorns, rainbows, cupcakes, and princesses. They also have so many different size labels to choose from. I decided on the Camp Labels Pack of 150 labels which includes 44 medium labels, 14 shoe labels, 60 small labels, and 32 iron-on clothes labels. I haven't used the iron-on labels yet because it is getting warmer and my daughter may not be in the same size jacket next year, but I did play around with the other ones. They are pretty thick compared to regular "stickers" which is great because I feel like they will stay on for a good amount of time. You could also use these as daycare labels something I had never really thought about before, but you need your child's clothes, wipes, bottles, diaper cream, etc. to be labeled or it will be lost. These labels are water resistant, dishwasher safe, microwave safe, washer/dryer safe, and fridge/freezer safe as well. I am a nervous wreck about her going to all day long, "big girl" school, but she is so excited and at least I know she will be prepared with all of her stuff labeled in a cute way. 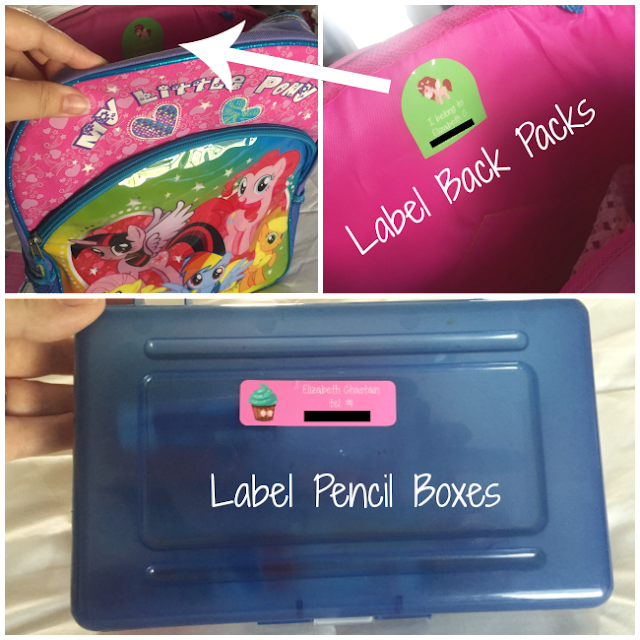 One lucky Nanny to Mommy reader will win a $35 credit to StickerKid enough to buy the same camp label pack I received! Entry is simple, just follow the prompts on the Rafflecopter below. Open to US only, must be 18+ to enter. Make sure to follow us on Facebook so you can stay up to date with our current giveaways. Good luck! I like the 60 Small Name Labels with a blue background color. The adorable Heart labels are my favorite! I am loving the Easter Gift labels! I love the shoe labels!! The green monster is an adorable addition!! The 20 Heart labels are my favorite because my children are feminine and love all things girly. I'd choose the cupcake design! My daughter would love the 20 Square Labels with your own picture! seeing her own picture on a sticker would be amazing! I really like the allergy alert labels. My son is allergic to milk and peanuts and I worry about him going to school. My favorite is the Large labels with the elephant.